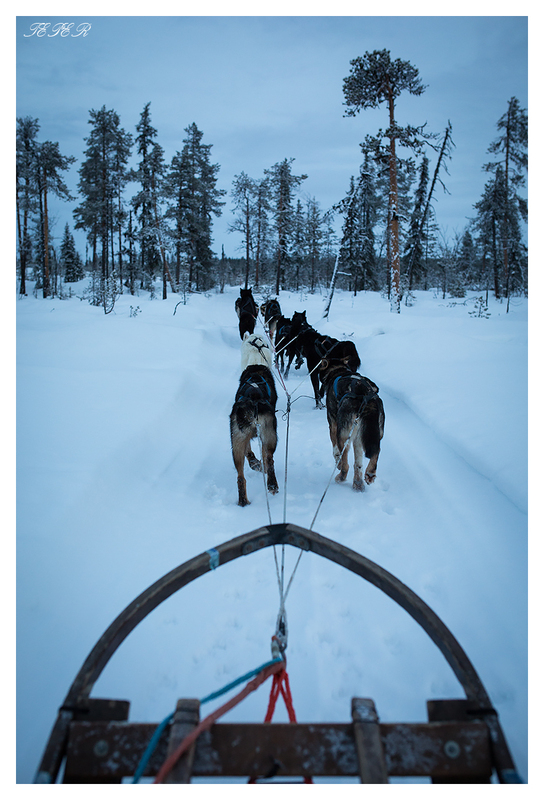 Swedish husky dogs, the trip was 14km, and it was -11. A magical experience, if a little cold! Near Kiruna Arctic Sweden.